We are into Manufacturing and Exporting high quality Offline Plywood Printing Machines. 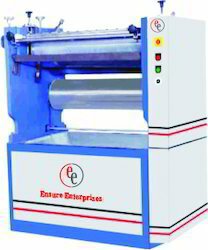 We manufacture Offline and Online PVC Profile and PLY wood Printing Machines. This machine is available in various sizes of 12", 24", 30", 36", 40". 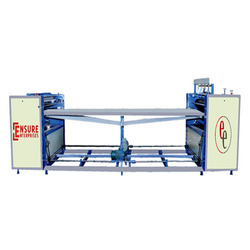 We manufacture Plywood Testing Machine, which are fabricated for testing metals and other materials under compression bending, transverse, tension and shear loads. The testing of standards specimens and structure is possible due to large effective clearance between columns. We are manufacturing and supplying a commendable variety of Plywood Working Machinery. Besides being designed using the supreme grade essential material, provided machines are well examined upon certain parameters of quality. Technotalent Engineering India Pvt. Ltd.
machine is for sanding plywood, board and doors. Double sided Brush Sanding machine. - Base Frame Heavy Duty M.S. P S I Sales Pvt. Ltd.